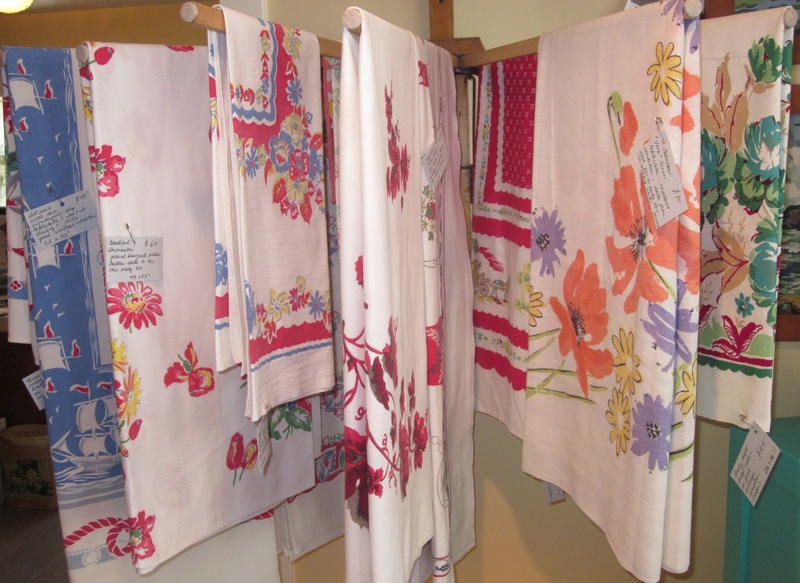 I just love these vintage tablecloths – not just for their cheerful colours – but for what they tell us about how culture has changed. 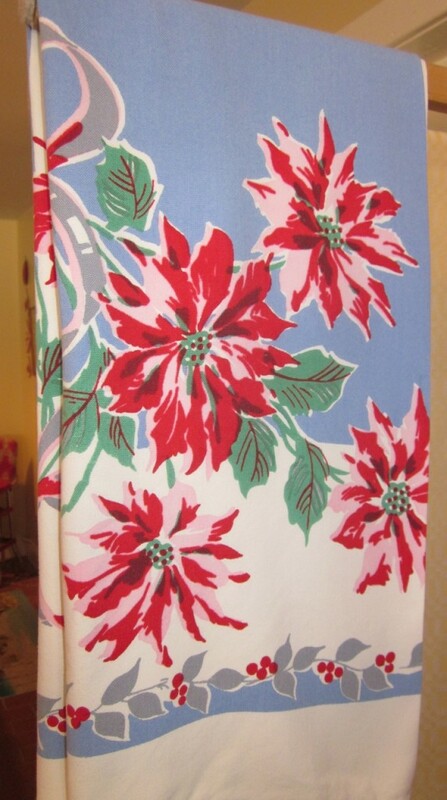 Tablecloths from the 1930s (the Depression years) were distinguished by their bright, intense multi-coloured prints. The 1940s (the War years) saw more complex designs and subtle shading. The 1950s (prosperity!) brought in a more optimistic point of view and the tablecloths reflected this excitement. Their vintage cheerfulness is just as appropriate today. Never mind if the 1940s tea cloth you like is too small for your table. You can layer it over a modern solid-coloured larger cloth and have the best of both worlds! At Mrs. Nicholson Home, we cherish these survivors, fascinated by the notion that they have endured much love and laundry! Ref: “Colorful tablecloths 1930s-1960s – Threads of the Past” by Yvonne Barineau and Erin Henderson. And: “Collector’s Guide to Vintage Tablecloths” by Pamela Glasell. 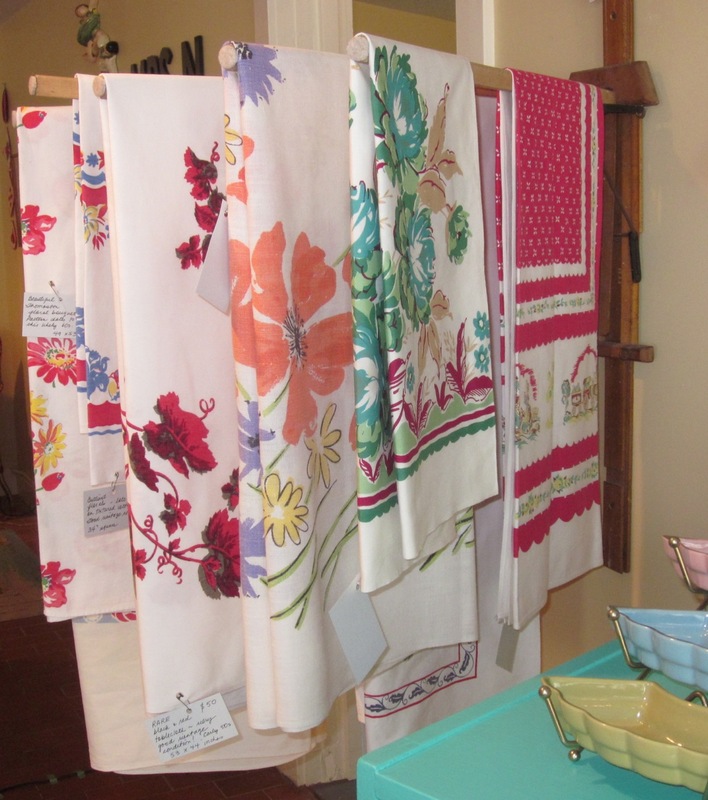 Selection of vintage tablecloths ($20 – $90). This rayon teacloth from the 1930s features beautiful bright clear colours ($30). 32 inch square. Another view of the current selection.